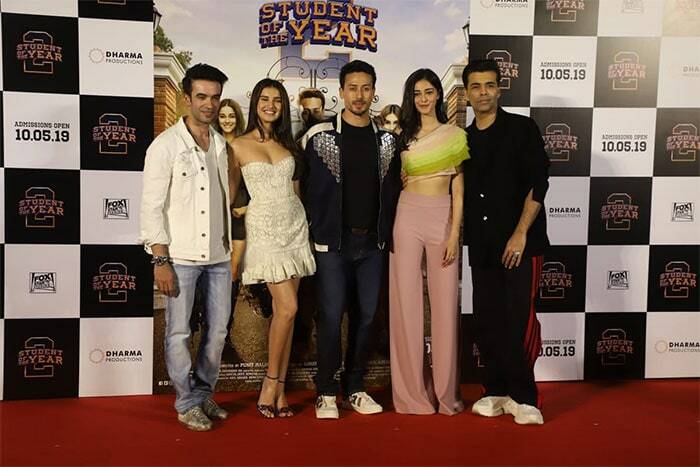 Tiger Shroff, Ananya Panday and Tara Sutaria launched the trailer of their upcoming film Student Of The Year 2, along with producer Karan Johar and director Punit Malhora at an event in Mumbai on Friday. Tiger Shroff is five-years-old in the film industry while Ananya and Tara are newcomers. Tara Sutaria was a Disney India star before starring in films. Tara Sutaria looked chic in a white outfit while Ananya made a fabulous impression in pink palazzos with a complementary layered one-shoulder crop top. Tiger, Ananya and Tara danced a bit for their guests. Tiger Shroff took a selfie with the shutterbugs and his fans.